What's happening to the Australian cash and why. 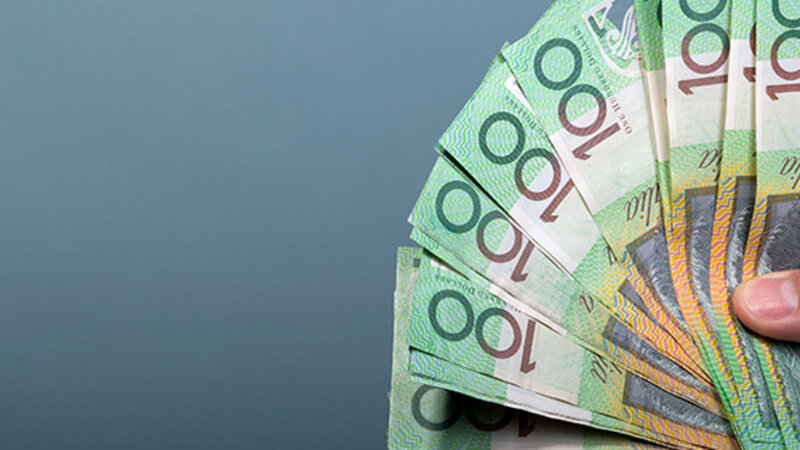 Although the push to become a cashless society, with everyday banking moving to mobile and payments to electronic transactions, the latest Reserve Bank’s 2015 annual report highlights that the cash economy is thriving in Australia. At the end of June 2015, 1.3 billion banknotes - to the value of $65.5 billion - were in circulation. This highlights an increase of 8% from mid-2014, a slight but notable change from the established growth rate of 6%. Of these 1.3 billion banknotes circulating within and out of the country, in the year between 2014 and 2015, the authorities seized around 37,000 counterfeits to the value of nearly $2.0 million. This equates to 28 counterfeits per million genuine banknotes - a 63% increase compared with 2013/14 (8,500 counterfeit notes). Back in September 2014, RBA Assistant Governor, Michele Bullock released a statement in which she expressed her concern about the rise of counterfeit in Australia, mentioning the increasing availability of counterfeit polymer substrate and developments in technology as possible causes for the spike in forgery. As the dedicated regulator of the Australian currency, the RBA needs to ensure that the circulation of high-quality notes meets the public demand, whilst monitoring that the banknotes remain secure and the public confident in cash, both as a payment mechanism and a store of wealth. Noting a trend in the increase of counterfeits in Australia over the last 10 years, the RBA decided to act proactively and manage the risk of counterfeiting by deploying the latest technology in currency design and security and releasing a new generation of banknotes. The official announcement of this intention dates back to 2012, after 20+ years of successful circulation of the first polymer banknotes. With an anticipated budget of around $29 million, the project is set to be a thorough and dynamic process of designing, testing and producing a new banknote series fit for a changing commercial landscape. In preparation for the logistical demands of the new banknote series, the RBA initiated an infrastructure modernization program with hopes to “increase banknote storage and processing capacity, and to introduce new technologies and systems to improve banknote logistics processes and simplify distribution arrangements with cash-in-transit companies”. This includes the construction of a new National Banknote Site (NBS) and the commissioning of the latest high-speed banknote processing machines. Furthermore, the Reserve Bank has worked closely with key banknote security bodies, such as the Central Bank Counterfeit Deterrence Group, to understand emerging trends in counterfeiting technologies. As a result, the bank employed technical expertise within the development of NGB series, conducting trials to measure the durability of new security features under stringent criteria- which will underline the project’s overall quality assurance. The Reserve Bank of Australia have engaged with a range of stakeholders, including but not limited to; users and manufacturers of banknote equipment, law enforcement agencies, financial institutions and retail organisations with the aim of encouraging a broader awareness and knowledge of banknotes. Specifically, close consultation with the vision-impaired community has allowed the RBA to incorporate a new accessibility feature- an embossed tactile design- whilst improving the existing accessibility characteristics such as size differentials, vibrant colours and bold, contrasting numerals. Over the past six years, a number of steps have also been taken by the RBA to identify and engage with the banknote machine industry. A key objective of this engagement is to achieve a high level of banknote acceptance by machines in the community immediately after the release of the new notes. In fact, at the time of issuance, it will be important for businesses and the public to be able to continue to make payments and withdrawals at machines and use machines to count, sort and validate banknotes effectively and efficiently. This could only be achieved by securing commitment among BEMs, machine distributors, and machine deployers and owners to upgrade the machines as required.